South Korea has long been known to produce some of the best skincare products on the market. The products combined with this routine will leave your skin feeling silky smooth. Try this 4-step program and your skin should be glowing by week’s end! Having clean skin is the first thing you need to have when preparing it for the next steps. Korean skincare calls for an oil-based cleanser, as well as a makeup remover. 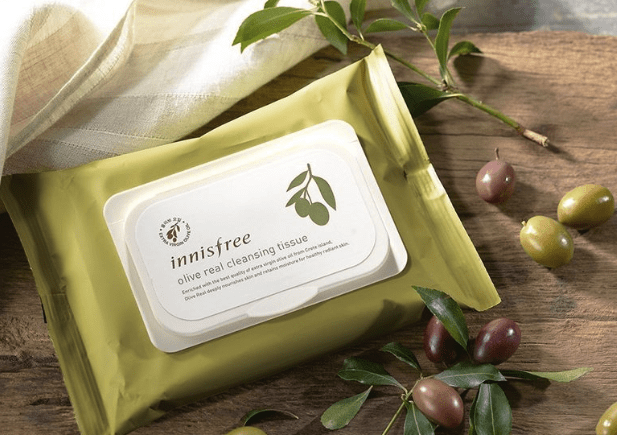 First, use a makeup remover wipe such as Innisfree’s Olive Real Cleansing Tissue. Followed by a nice oil cleanser like Missha’s Super Off Cleansing Oil. Now that you have removed most of your makeup you need to use a water based cleanser which is designed to remove dirt and sweat buildup that the oil did not. Check out Missha’s Supa Aqua Cell Renew Snail Cleansing Foam. You should also try to use an exfoliator once or twice a week. Skinfood’s Black Sugar Scrub is a good one, just try not to be tempted to eat it! This step only requires using a toner, as it removes anything that could possibly be left on your skin after such a thorough cleansing. 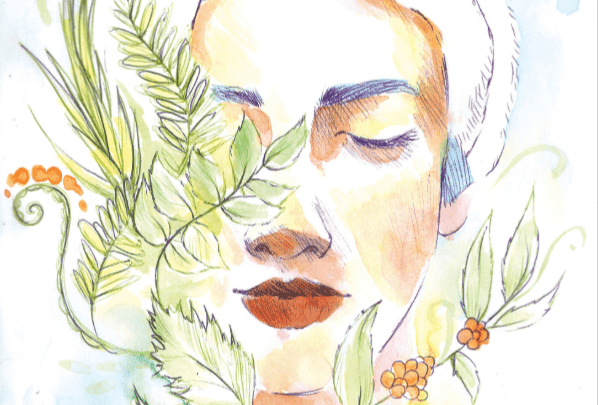 A toner allows your skin to be able to absorb the moisturizing products that come next. Missha’s First Treatment Essence is one of the best. Now it is time to hydrate your skin. If there are any areas you want to target such as age spots or acne, then you should find a serum that targets this. 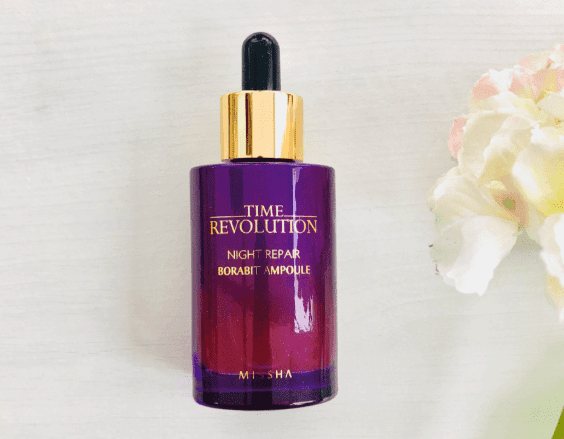 A good all over one is Missha’s Time Revolution Night Serum. A couple of times a week you should also use a sheet mask, this also forces you to relax for 20 minutes as your skin absorbs all those lovely nutrients it needs. Innisfree, Skinfood, Missha, and the Face Shop all have nice sheet mask lines. Lastly, to avoid those under eye wrinkles choose a good eye moisturizer, always tap this on do not rub it in. Innisfree’s Green Tea eye moisturizer is a good one. Lastly, you want to add that final moisture layer that seals in everything you have already layered on your face. You may want a night cream, emulsion, or a thick sleeping mask. Etude House’s Moistfull Collagen Emulsion is a nice light one. And to finish the whole regimen off, especially if it is the morning, wear sunscreen!